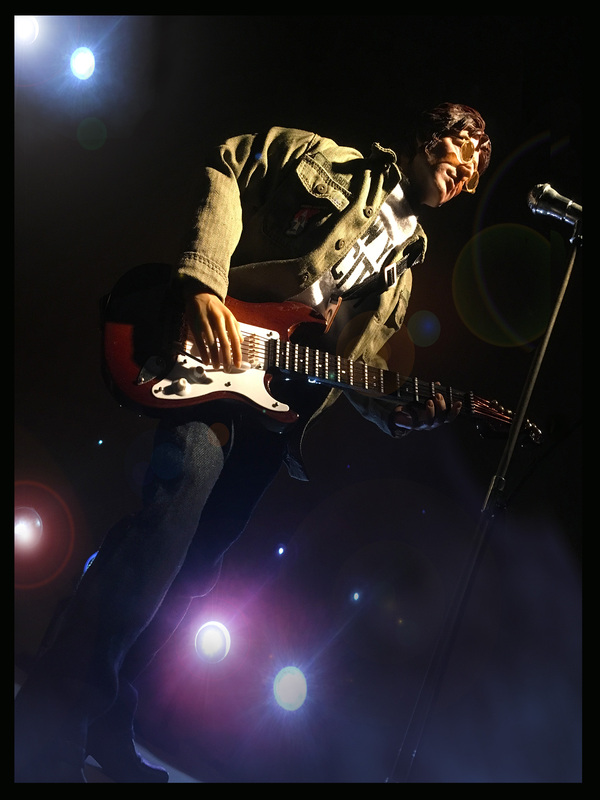 All We Are Saying—is—Give Wayne Faucher a BIG Hand—His “Early ’70s John Lennon” Custom Figure Could be His Greatest 1:6 Scale Creation—EVER! IMAGINE— having the talents required to be able to create custom figures as wonderful as this. So GREAT! 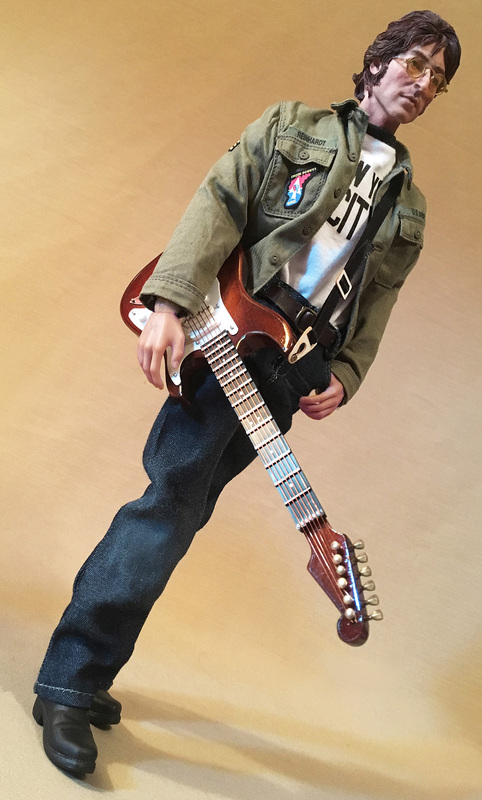 Wayne Faucher’s “Early ’70s John Lennon” is an absolute SPOT-ON 1:6 masterpiece. Isn’t it great when all the individual parts of a project COME TOGETHER? (Photo: WEF) Click to enlarge. Stunned. Shocked. 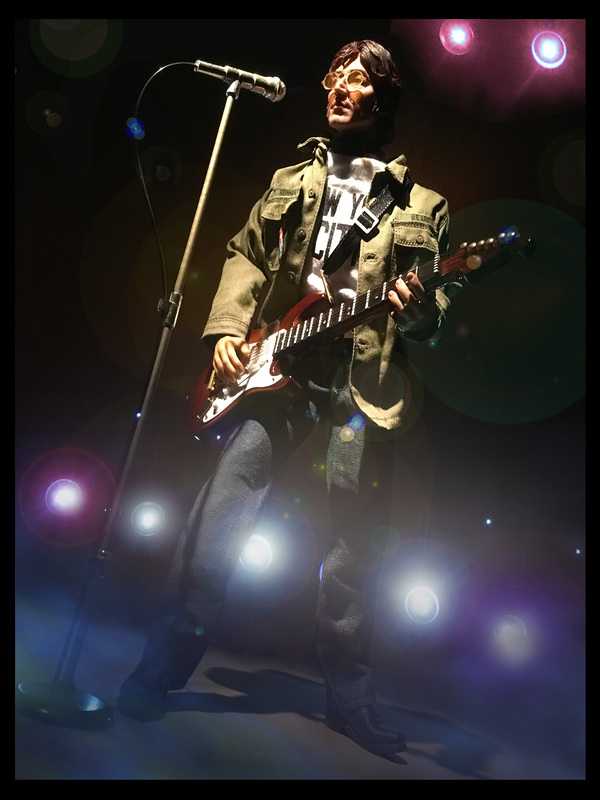 THRILLED— Those are but a handful of the emotions that are undoubtedly racing through your mind—right now—as you gaze upon—in awe and wonder—this astonishing 1:6 scale “tribute figure” to one of our planet’s greatest-ever singer-songwriters—Mr. John Lennon. The miniature masterpiece in question is the latest handiwork of Marvel Comics’ inking maestro (and custom 1:6 scale figure creator extraordinaire), Wayne Faucher, of Rhode Island, USA. Rockin’ Out in Central Park— If you think this is a photo of the REAL John Lennon, then look again. 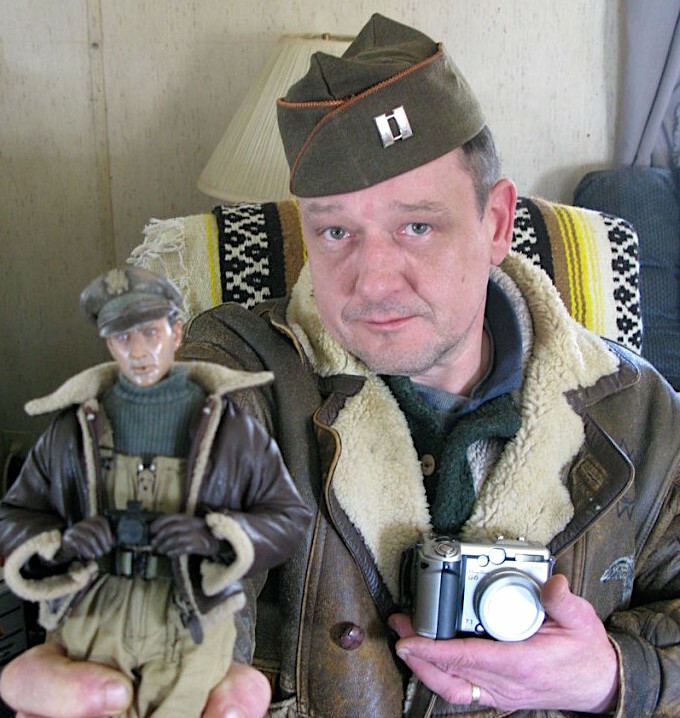 Faucher’s custom figure is SO realistic that it easily “fools the eye.” (Photo: WEF) Click to enlarge. ROCK ON! 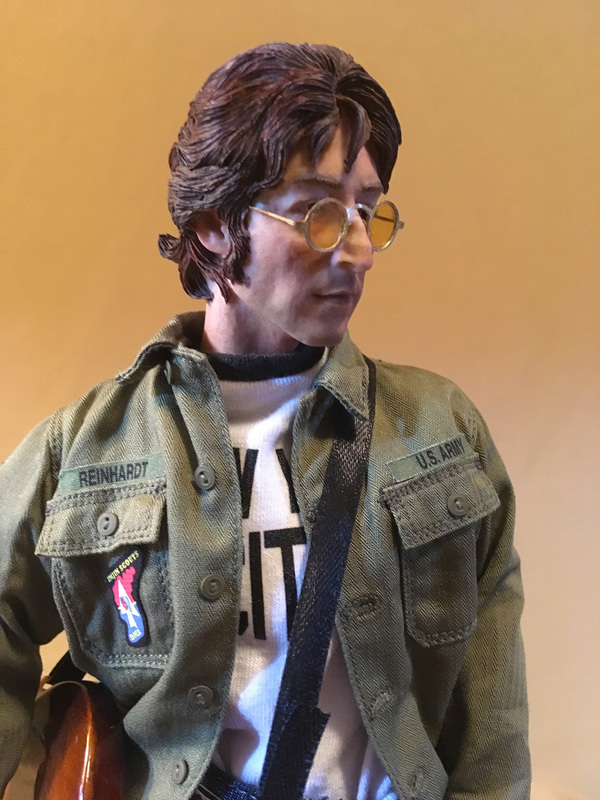 Wayne Faucher’s custom “Early ’70s John Lennon” sports OD fatigues adorned with custom 1:6 scale patches from Patches of Pride. OOH-yeah! (Photo: WEF) Click to enlarge. 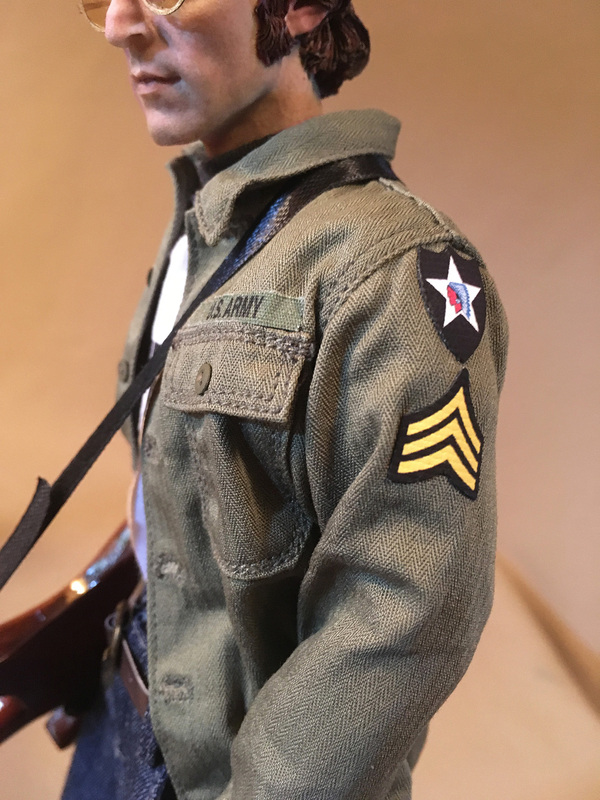 Details DO Make the Difference— Tweaks to the hair, eyeglasses, t-shirt, custom PoP patches—it all adds up to 1:6 scale PERFECTION. WOW! (Photo: WEF) Click to enlarge. On the FLIP SIDE— As this closeup of the other sleeve reveals, Faucher did a superb job installing the custom patches from Patches of Pride. This is a mini-masterpiece! (Photo: WEF) Click to enlarge. 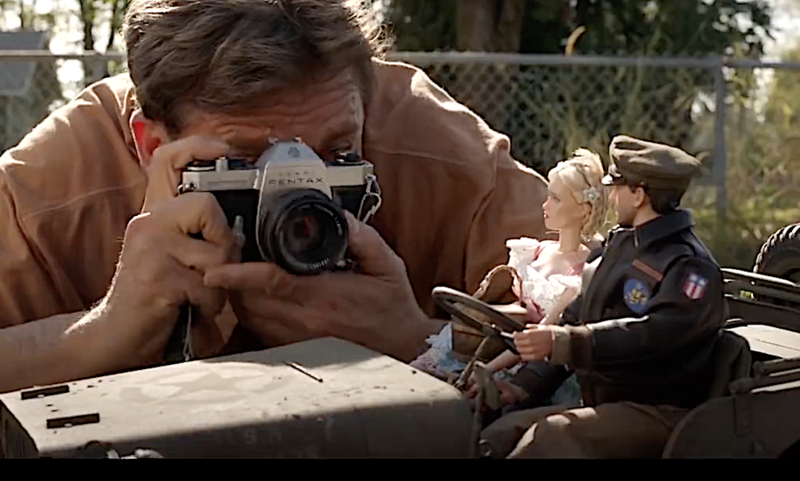 Make Art, Not Crap—Just IMAGINE all of the fantastic photos you could take with custom figures like this. 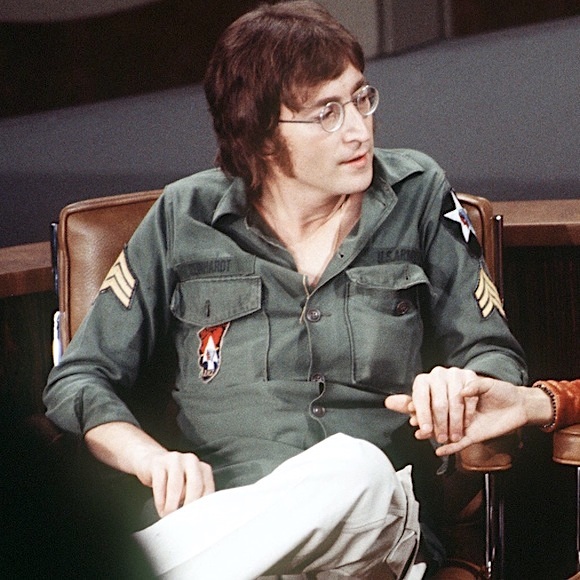 We can almost hear Lennon’s music playing, too! (Photo: WEF) Click to enlarge. 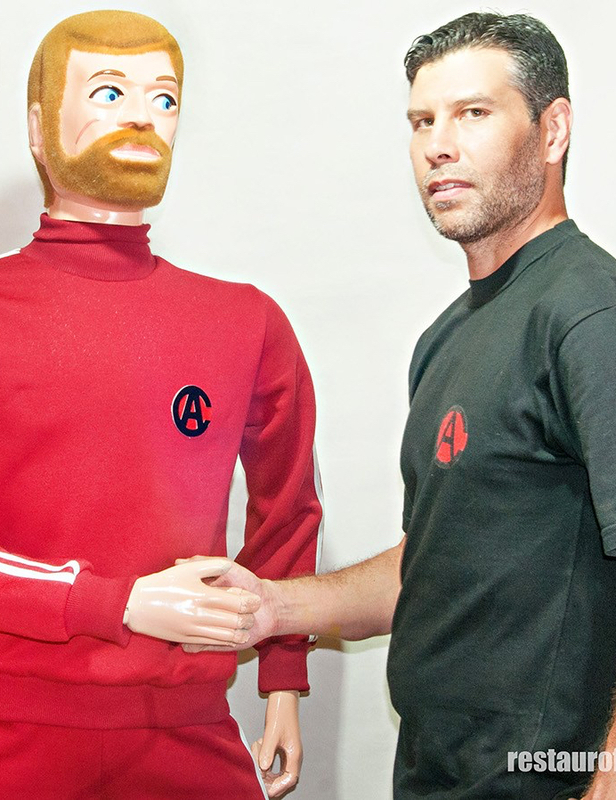 Put ‘er There, Pal— A rather surprised looking 1:1 scale FALCON action figure (the one on the left) prepares to test his newfound “Kung-Fu Grip” on his creator, Mauricio Wendler, a VERY talented artisan residing in Brazil. Wendler created this stunning full-size replica of a vintage 1970s FALCON “Climber”—in just 4 days! That sir, is out-STANDING! (Photo: Mauricio Wendler) Click to enlarge. Just when you think you’ve seen everything—you haven’t! Today we received some amazing international intel from our highly talented “Field Reporter” down in Brazil, Mauricio Wendler, who wrote in concerning his country’s recent 40th anniversary celebration of everything FALCON. Falcon, as you (hopefully) recall, was the extremely popular version of GIjOE produced in Brazil during the 1970s and ’80s. Well, 40+ years have passed since those heady days of yore, and it appears now that Mauricio has decided to “raise the bar” of modern Falcon fandom—a wee little bit—to 6-foot PLUS! Who’s Got the POWER? Mauricio taunts Senhor Climber Falcon with his own formidable “Fists of Fury.” Notice too, that Wendler’s 1:1 creation is wearing a REAL jogging suit (with a handmade emblem) and a pair of REAL lace-up boots (to boot). (Photo: Mauricio Wendler) Click to enlarge. Eye Can’t SEE You— The 1:1 head of Wendler’s custom is shown here prior to flocking and final paint. Note too, that he has upsized and recreated the interior “Eagle-Eyes” mechanism as well. Soon, this Falcon will SEE the world around him! (Photo: Mauricio Wendler) Click to enlarge (and study). 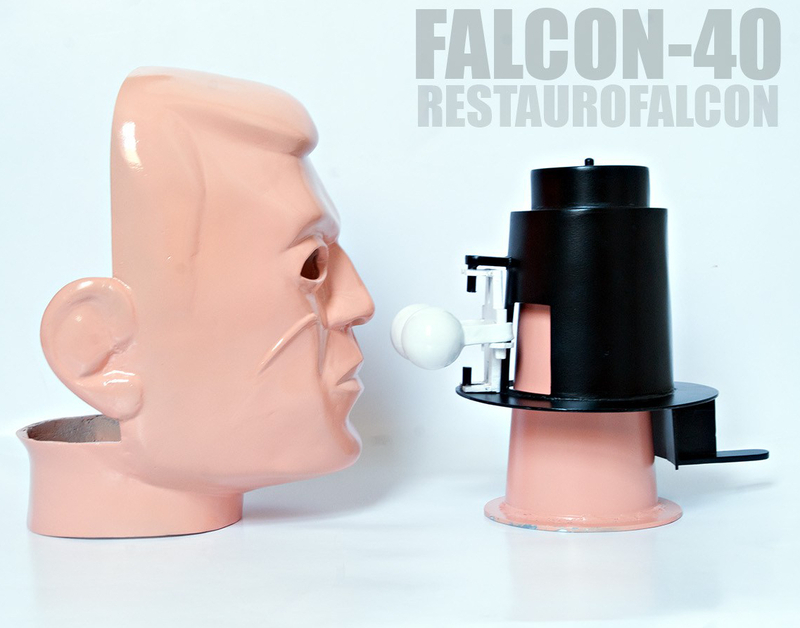 Turn your head, Please— This profile side-view provides a good look at how Mauricio’s FALCON head is constructed out of two separate sections (rear skull piece not shown), plus those wonderful interior eagle-eye mechanisms. Pretty amazing! (Photo: Mauricio Wendler) Click to enlarge. Franken FALCON— After each individual section had been molded, trimmed out, and tested for fit, the various pieces were carefully assembled together until soon—a towering (albeit still headless) action figure was born. It’s ALIVE! It’s ALIVE! (Photo: Mauricio Wendler) Click to enlarge. 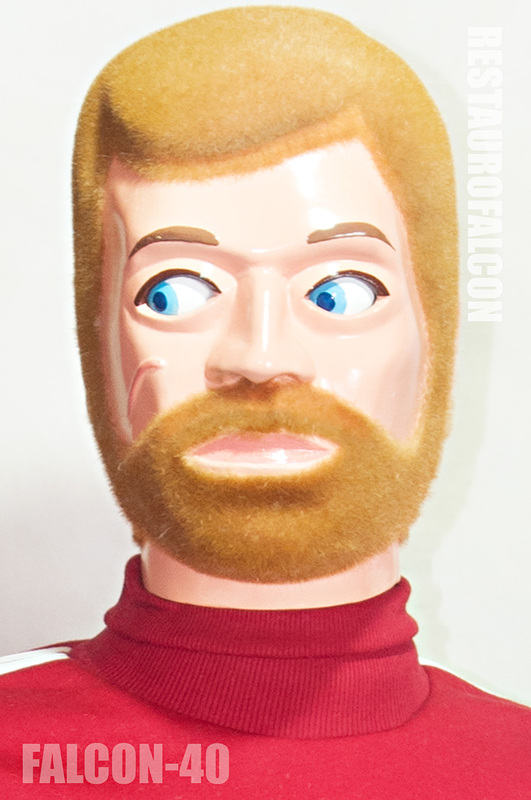 Welcome to the 1:1 Scale World, Mr. Falcon— This super-closeup pic of Wendler’s finished masterpiece shows the head’s final paint job, placement of its VERY blue eyes and a full head of flocked hair. Out-STANDING work, sir! (Photo: Mauricio Wendler) Click to enlarge (and drool). Hold up Yer Skivvies—With a Belt? This closeup reveals the weave and fibers of actual fabric, used to create the realistic pattern you see impressed into (or glued over) the waist section of Wendler’s 1:1 scale Falcon figure. (Photo: Mauricio Wendler) Click to ENLARGE (the crotch). Schwing! Wendler’s “Climber” assumes a defensive stance as he looks askance at the viewer. Is that a pitchfork in his hand, or is he just glad to see you? HA. (Photo: Mauricio Wendler) Click to enlarge. Whom will she choose? 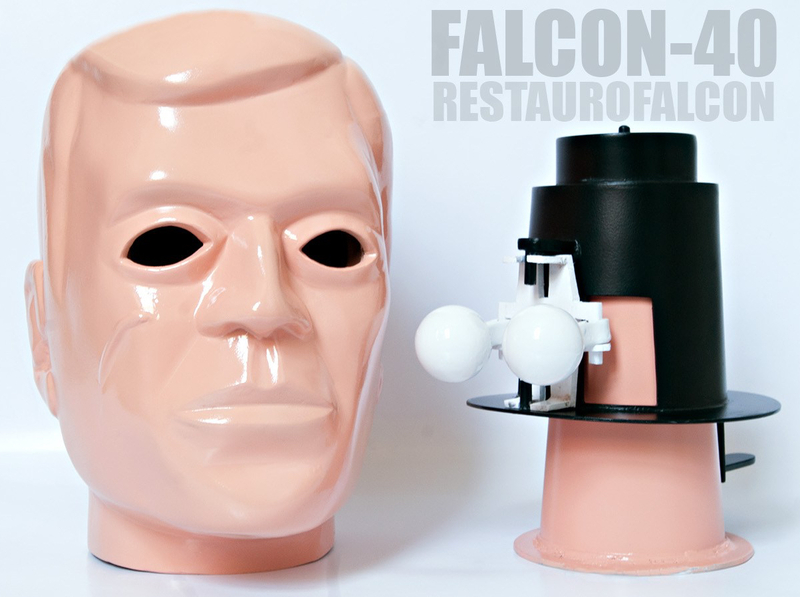 Sure, Mauricio’s handsome and all, but there’s something really HOT about this new Falcon dude. Hmm… (Photo: Maurico Wendler) Click to enlarge. 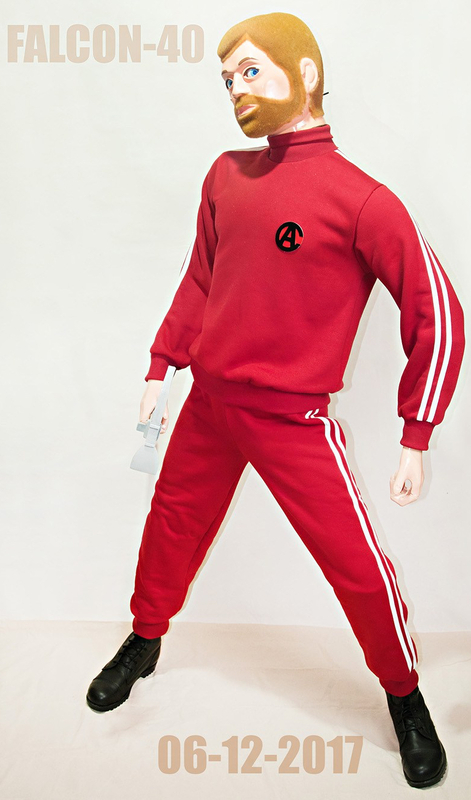 Bottom Line: This 1:1 scale custom FALCON action figure is a monumental achievement AND an undeniable work of art, earning it an immediate place of TOP honor amongst the thousands of other such creations produced by fans and customizers of GIjOE, Falcon and related action figures. This MASTERPIECE breaks ALL of the known barriers of “working large” and Mauricio’s proficiency with plastics proves that his fabricating skills know few, if any limitations. Finally, our most heartfelt congratulations go out to Mr. Wendler for all of his SUPERB Falcon-related achievements and for his very generous contributions to this article. Magnífico, senhor! No Collection is Too Small— 1:6 G.I. 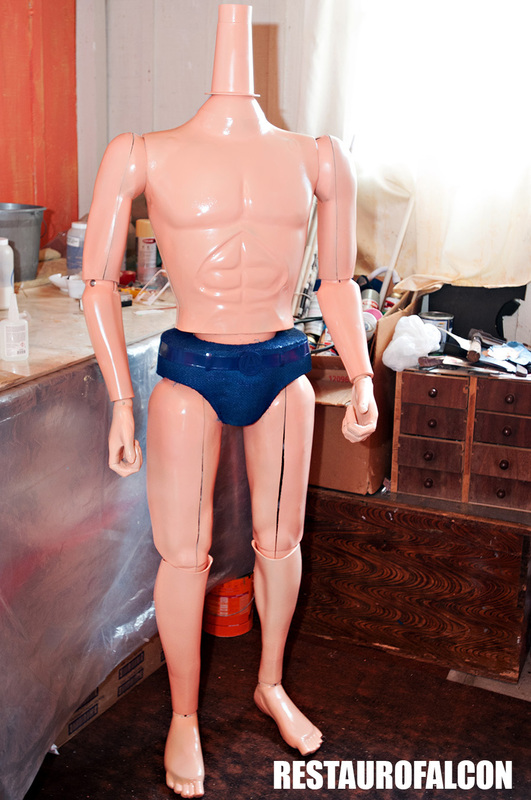 Joe Enjoys Collecting (You Guessed It)—Action Figures! What do YOUR GIjOEs do when they return home from a mission? Some spend days, even YEARS, sealed up in depressing, air-tight storage containers, while others dutifully stand an interminable “watch” from the inside of locked, glassed-walled display cabinets. But for those fortunate few who are given freedom of movement by their (obviously imaginative) owners, the pursuit of personal hobbies and other pastimes is now becoming the norm. 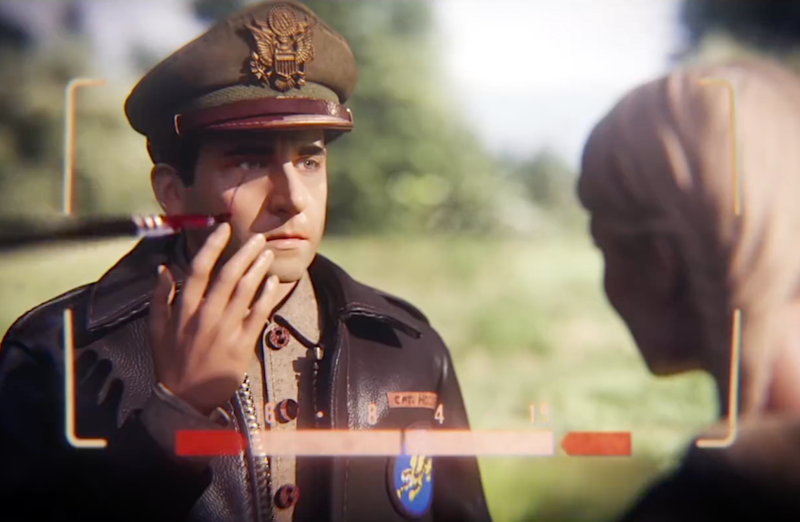 Fan-Created G.I. Joe Ephemera—Picking Up Where Collector’s Club Leaves Off, James Kavanaugh Jr. Heads Up a Talented Team of Graphics Experts to Produce Exclusive Posters, Cards, and Boxes To Be Given Away Every Year at JoeCon—For FREE! 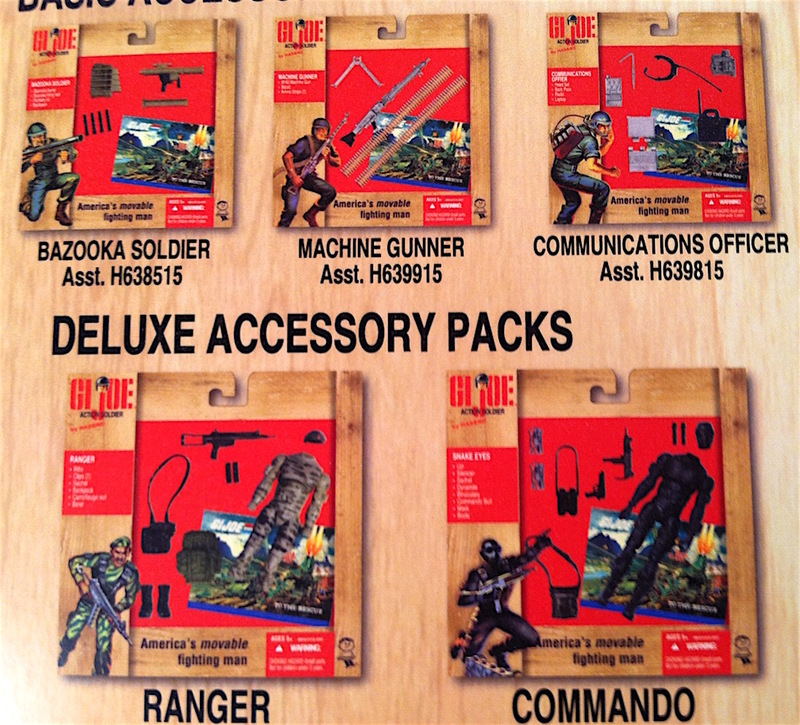 Utilizing Vintage Design to Promote RAH GIJoes— At first glance, you’d think this professionally created mini-poster is one of the original product brochures produced by Hasbro back in 1964 to promote its new line of 12″ GIjOE action figures and accessory sets. But you’d be wrong, my friend. 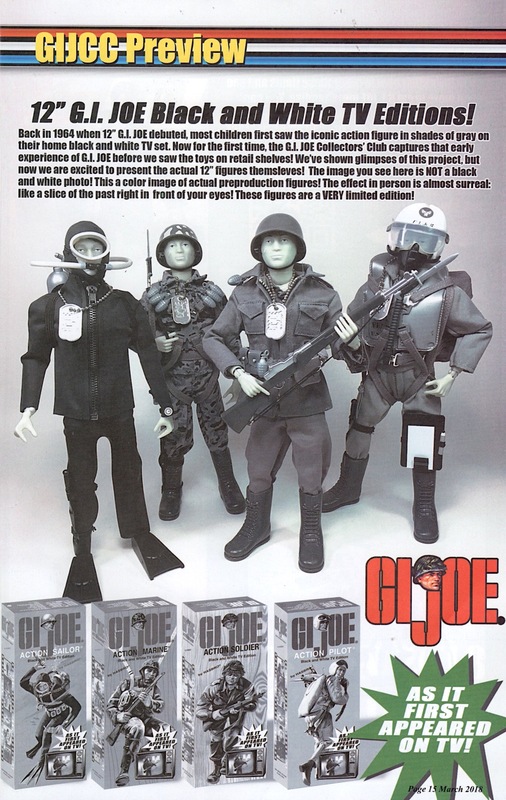 In actuality, this masterpiece depicts GIjOEs of the more modern-era (3.75″) RAH variety. Produced by a team of graphics professionals spearheaded by James Kavanaugh Jr., this limited-edition (300) fan-produced poster is a superb example of how far some die-hard fans will go to further expand upon and refine GIjOE’s “universe.” (Framing by Sam Sears. Photo by: James Kavanaugh) Click to enlarge. Bumping Into a Graphics Guru— When we first met James Kavanaugh Jr. at JoeCon 2015 in Springfield, IL, he was surrounded by about a dozen wide-eyed fans. 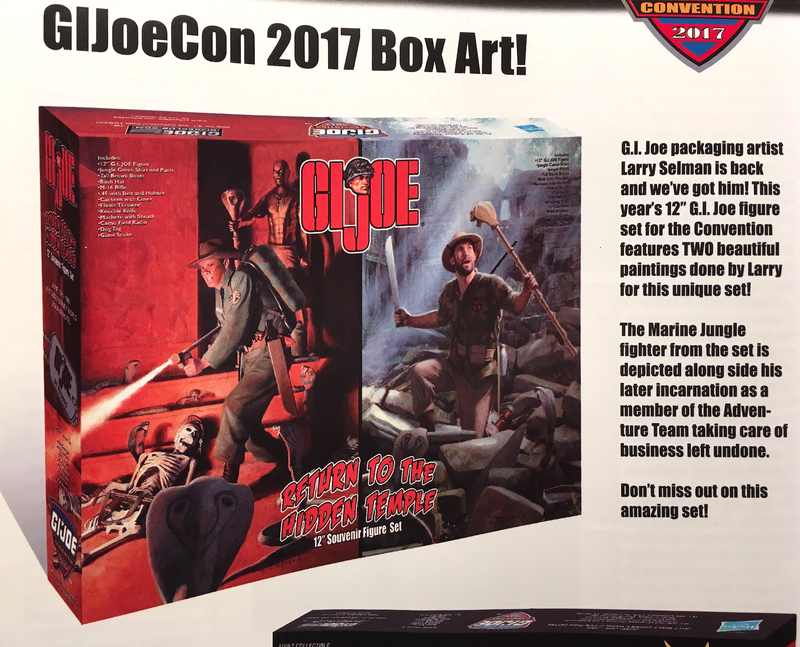 They were all eager to get a closer look at James’ offering of expertly created GIjOE fan-graphics; including such nifty items as mini-posters and 3.75″ mini-boxes. Surprised by the professional quality of the items arrayed on his tables, we were sure they would be priced accordingly (i.e. expensive) and were stunned when he informed us that they were actually being given away to JoeCon 2015 attendees—for FREE! If you know anything about the high costs of producing and printing quality graphic projects (and we do), then you’ll know we’re talking about some serious money here. For example, individual copies of James’ RAH posters could easily range upwards of $30 apiece (if outputted with high-end plotters or printers). Such JoeCon “freebies” can actually be very expensive to make (and very valuable to collect). Clearly, this segment of GIjOE fandom isn’t a cheap corner of the “sandbox” to play around in. The large amount of time required to produce such quality pieces can ring up a hefty tab, and we were eager to learn what sort of “madness” drives Kavanaugh in this regard. Thankfully, he kindly assented to the following exclusive interview—for faithful readers of—The Joe Report! TJR: Thanks for speaking with us today, James. 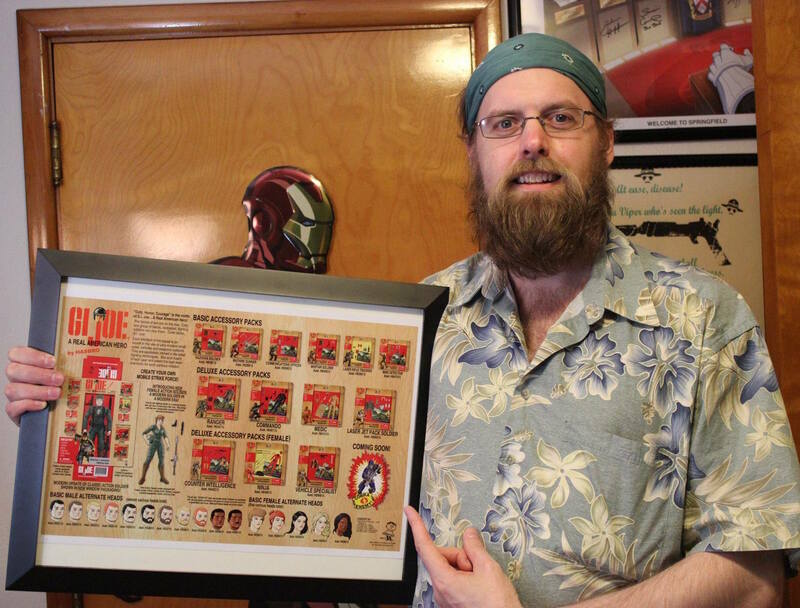 As fellow graphic designers and “brothers-in-arms” in the visual and communication arts profession, we’d love to hear the story behind your amazing GIjOE print projects; especially that stunning RAH mini-poster (shown at top). “The poster is a long answer to a short question. I pigeonhole myself as a RAH (Real American Hero) collector and since the 2005 convention, I’ve been making and handing out free custom file cards and package card backs. TJR: What a excellent idea! And you still give all these cards and posters away for FREE? TJR: That’s very generous. You have some serious “Joe Karma” coming your way. Do you work on these projects all alone, or do you enlist the aid of other talented Joeheads? TJR: That sounds like an “A-Team” of GIjOE experts. Are you a big fan of both the RAH and 12″ GIjOEs? “Honestly, I was born in 1977 and grew up in an almost childless neighborhood with no older relatives, so I knew nothing about 12” GI Joe. 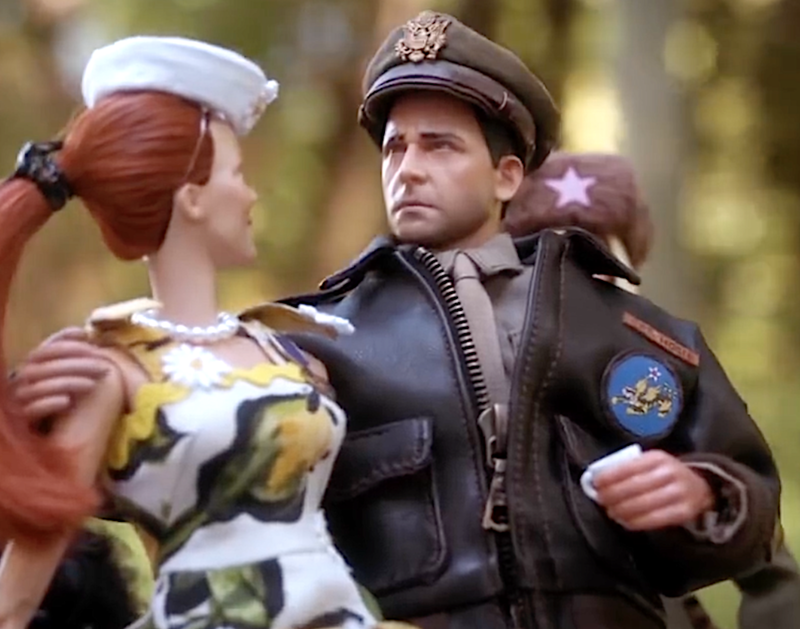 I assumed that he was just Barbie’s ‘Army boyfriend.’ And sadly, certain aspects of the 12” figure as a whole are simply lost on me. Nonetheless, I wanted to work backwards and explore GIjOE’s 12” history by undoing the RAH line. 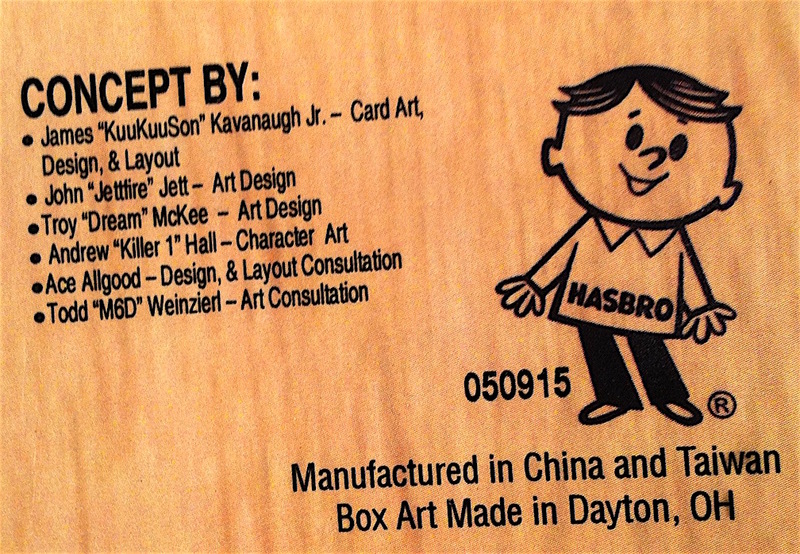 Giving Proper Credit— Contributors to each of Kavanaugh’s projects receive official credit bylines such as those listed in the corner of Jame’s RAH poster. (Photo: Mark Otnes) Click to enlarge. TJR: Where did you take the project from there? Packaging Fans Take Note— The classic GIjOE designs from the 1960s hold up VERY well today, as this closeup of James Kavanaugh’s poster clearly reveals. Hello, Hasbro? Are you seeing this? Here’s a great way to bring all GIjOE fans together under one “visual umbrella.” (Photo: Mark Otnes) Click to enlarge. 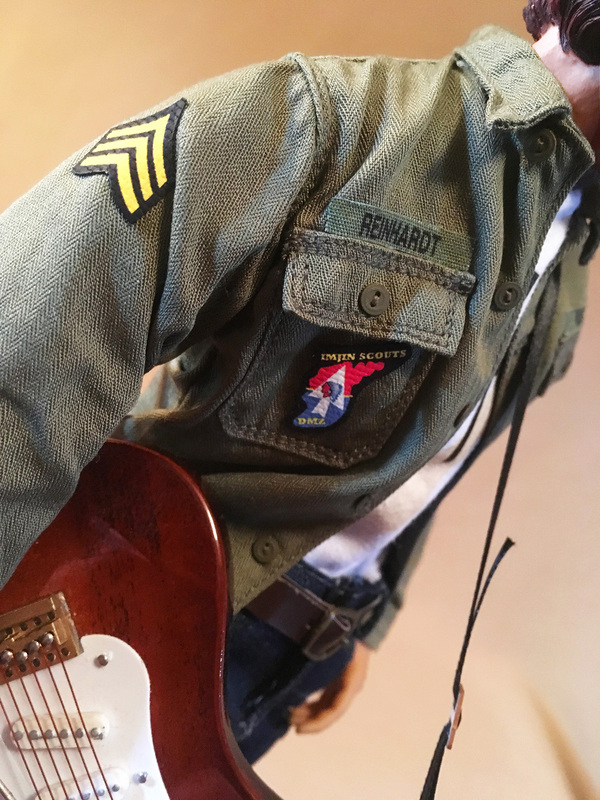 TJR: What did you decide to produce for GIjOE’s 50th Anniversary? Realistic Detail on Every Panel— The attention to detail on Kavanaugh’s projects is stunning; UPC codes, fine print, choke warnings, it’s all there. 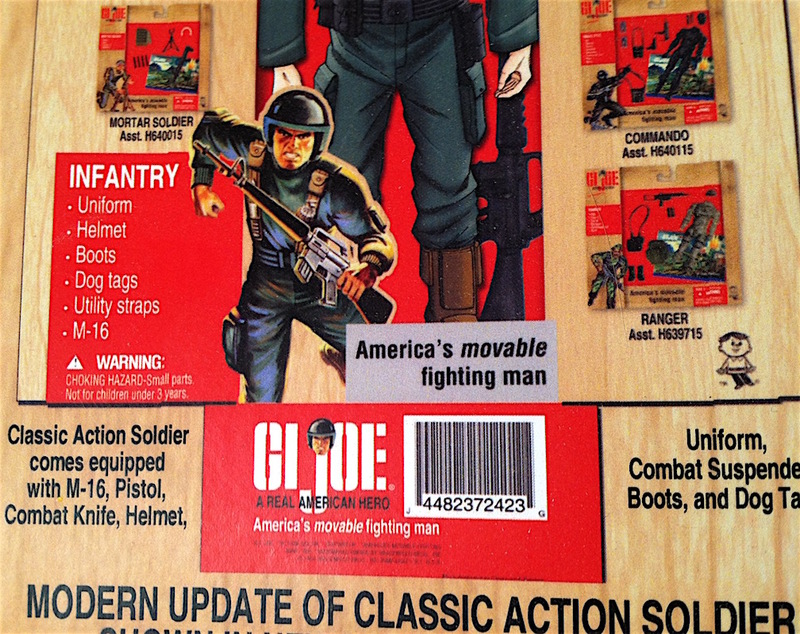 Look closely at this GIjOE “Infantry” box— there are even pictures of its related uniform and accessory sets depicted on the side panels at barely 1″ high. 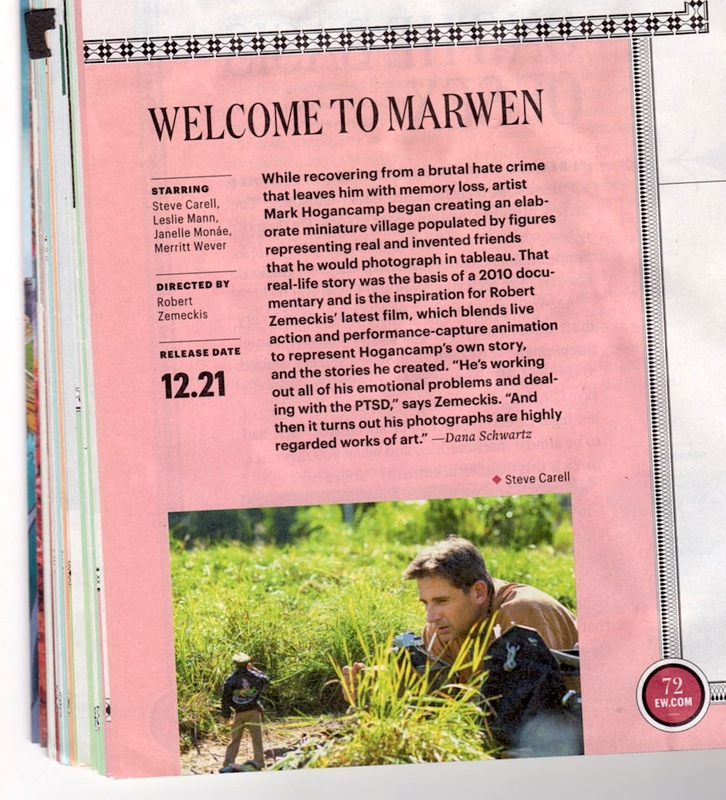 Get out your magnifying glass, because you’ll need it to read it! (Photo: Mark Otnes) Click to enlarge. TJR: You’ve made mini-boxes, posters, and even authored books on RAH GIjOEs. 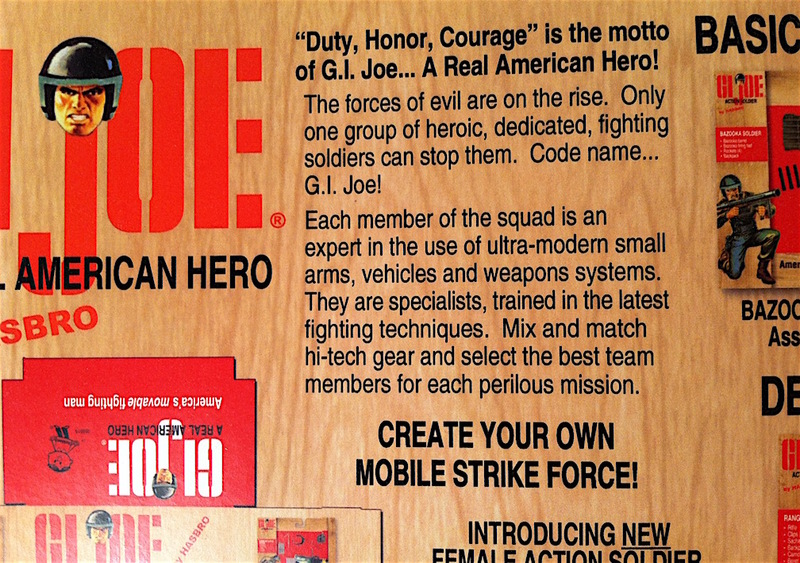 But your new poster seems to be targeting fans of the vintage 12″ GIJOEs. What inspired the change? 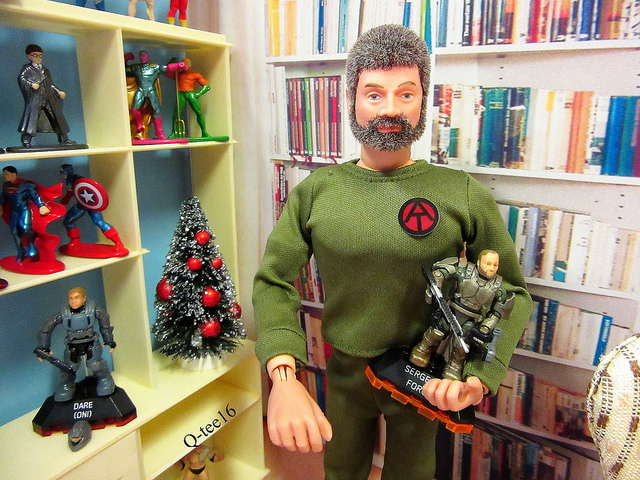 Collect ‘Em All— Kavanaugh’s wide variety of GIjOE-related creations have become a new collecting segment all of their own and it’s easy to see why. The cover of his new book, Rank & File, utilizes design inspired by the ’80s RAH comics. Get your copy HERE today! TJR: Your poster is a superb demonstration of how Hasbro could have brought fans of both eras together by appealing to the heart-strings of older collectors while reviving vintage packaging design. What did your A-Team of experts think of your unique retro-poster concept? “The early idea was difficult for me to convey, I had a hard time articulating my thoughts to my core consultants. They kept simplifying it as a 12” Grunt (like the figure in the 1994 Hall of Fame). The base figure is the Action Soldier male, not ‘Grunt’ as the RAH guys know him. The vintage RAH art is familiar to RAH collectors and was used to help accentuate the packaging while guiding the viewer to its hybrid conclusions. I then divided the 82-84 line into Basic and Deluxe package options and used almost the exact character themes given to us in those respected years. I stripped away the unique shades of green that each RAH character is typically assigned (ex. Zap was light green while Grand Slam was dark olive) and tried to create as many reusable plastic parts a possible. A Face All Fans Can Love— Whatever the scale, GIjOE’s “first face” was an iconic design that continues to resonate strongly with collectors worldwide. (Character art: John Jett/Andrew Hall) Click to enlarge. TJR: What else should fans (of both eras) know about the content depicted in your poster? 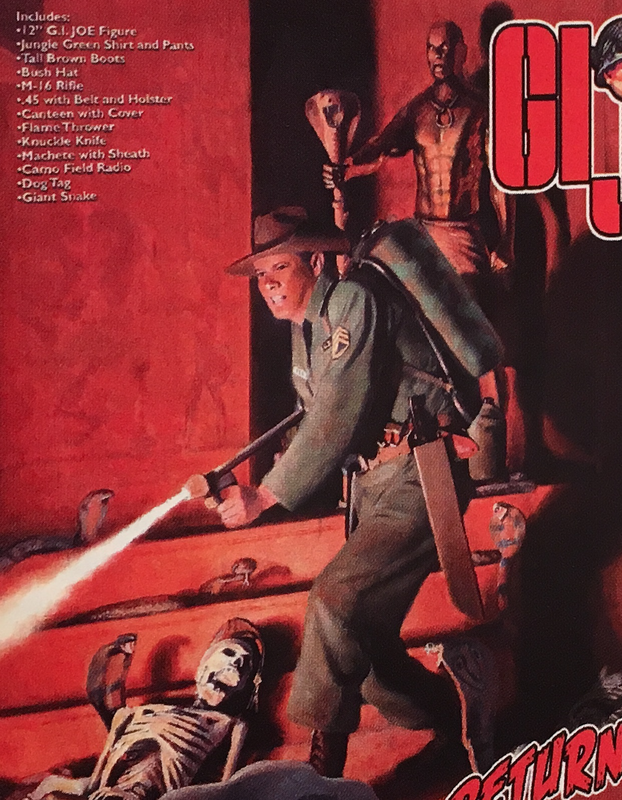 Gutsy, Not Glamorous— Kavanaugh’s poster also features a GIJane action figure. Never meant to be a “pin-up” girl, the various depictions of Jane depict determined looking, capable fighting women instead. Out-STANDING! (Character art: John Jett/Andrew Hall) Click to enlarge. TJR: Tell us about that GIJane figure. She’s a great addition to the poster! 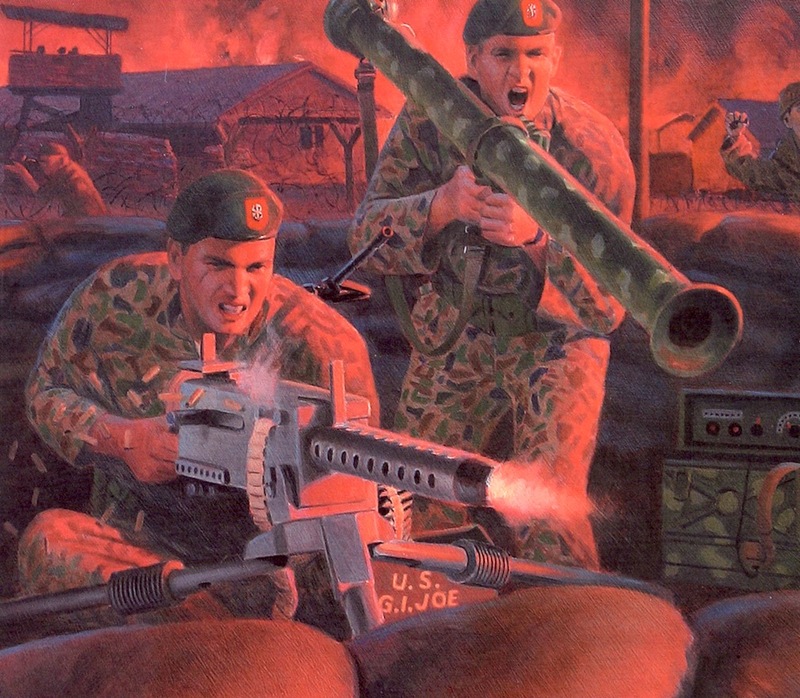 “The real ‘twist’ with this poster’s concept was the inclusion of a female soldier. This fictitious, femme-fatale figure would’ve been sold separately—but equally—with the male. This led me to make the female look more in sync with the male figure, while still retaining female features. I will apologize beforehand when I say the female nurse isn’t the most attractive female action figure representation (in my opinion). 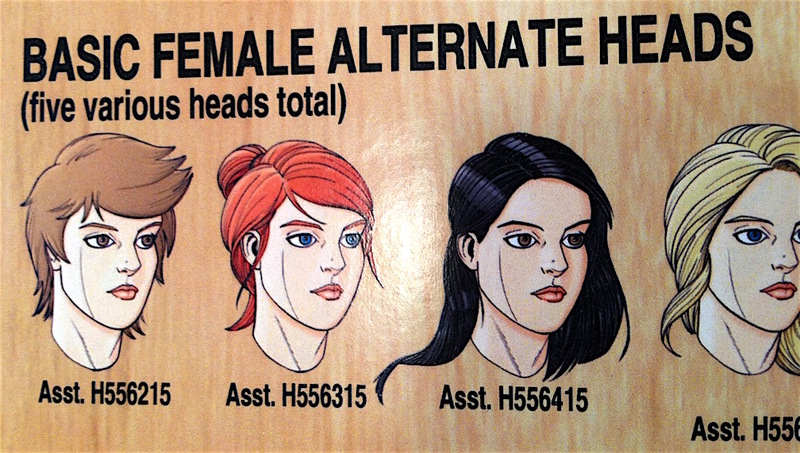 Thus, John Jett was tasked with developing a more striking female. But hey, don’t get me wrong, she’s not posing for a glamour shot. She’s here fight for freedom! TJR: Any closing thoughts on this poster and/or your reasons for creating it? 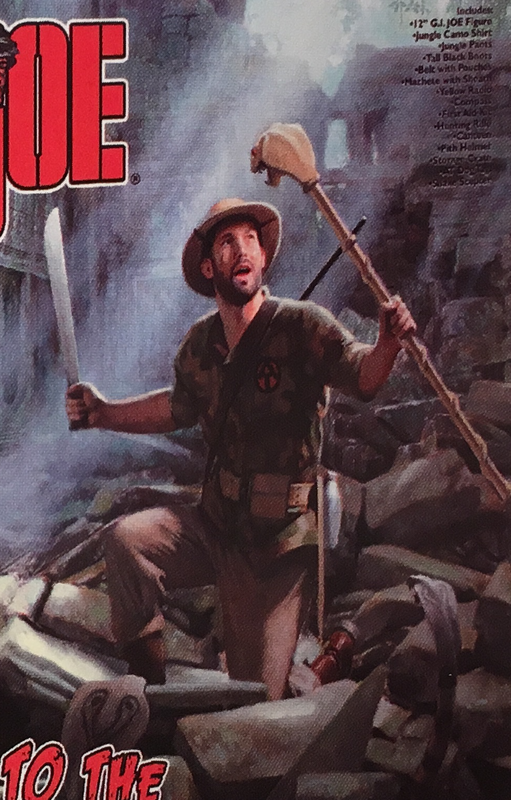 Bottom Line: Our sincerest thanks and best wishes to James “the Chameleon” Kavanaugh Jr. for all of his generous contributions to the GIjOE collecting hobby and to this article. You can reach James on Facebook HERE and find his books on Amazon HERE. Go (or Yo), JAMES!